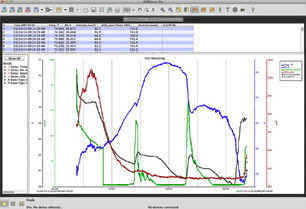 HOBOware software makes it easy to configure HOBO data loggers, offload data, produce professional graphs and analyse data. 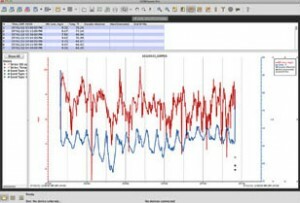 There are two versions, the standard HOBOWare package is offered as a free download for Windows or Mac, while HOBOWarePro is recommended for professional users and supports the widest range of HOBO data loggers and shuttles, and provides many time-saving and powerful analysis features. Note: Use of HOBOware with U-Series loggers requires a USB interface cable or optic USB base station / coupler compatible with the loggers being used. 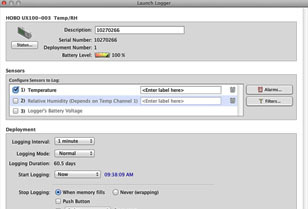 Use of HOBOware with a HOBO Weather Station, HOBO Micro Station, or HOBO Energy Logger requires a Serial Interface Cable and an optional USB Serial Adapter if no serial port is available.